What changes in thinking and practice are necessary to ensure English language learners (ELLs) and multilingual learners (MLLs) receive equitable, quality instruction that prepares them for full participation in society? This series of briefs explores ways to build the potential of ELL/MLL students and help them to become fully multilingual, intercultural, and literate students who enjoy rigorous academic activity. 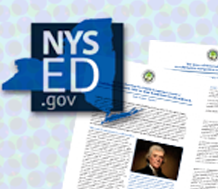 The briefs, published by the New York State Department of Education, were written by Aída Walqui, Elsa Billings, and Peggy Mueller of WestEd’s Quality Teaching for English Learners.